VISIT LOKSAK AT NCT USA 2019! The use of deadly biohazard materials is a problem that is growing exponentially, permeating into every country, age groups, and into the hands of our enemies. Collecting, transporting and storing deadly chemical and biohazard waste has been an ongoing challenge that needed to be solved by using state-of-the-art, easy to handle, lightweight containers with an inexpensive solution. 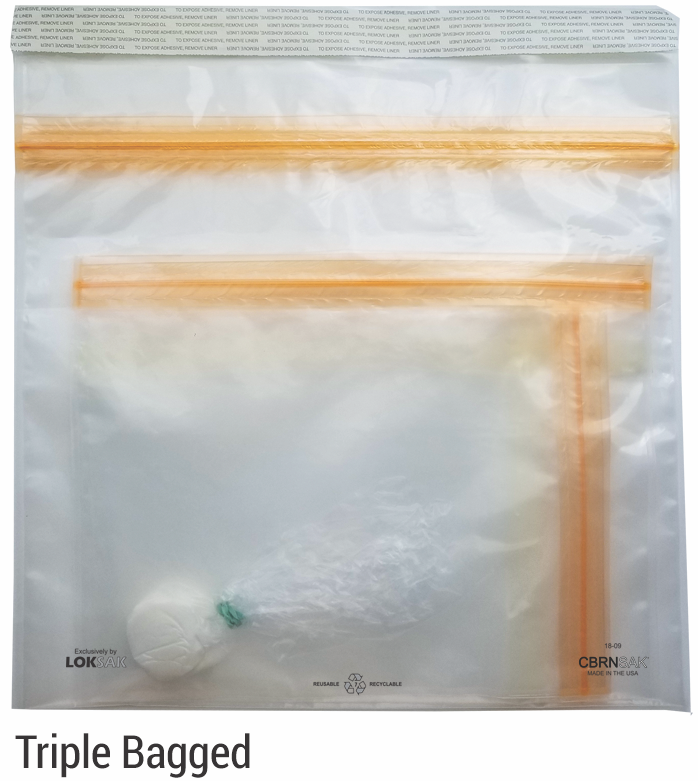 LOKSAK has been selling hermetically sealed reclosable barrier bags, featuring low OTR ratings, into the public sector for years; the FBI Hazmat department, located in Washington D.C., has been purchasing our bags with hermetic seals for the past 12 years. However, they were being used as a back-up to their existing containers for biohazard waste and deadly chemicals. It was only a matter of time until LOKSAK was approached to see if we could come up with a CBRNe bag. Not just a CBRNe bag, a CBRNe bag that would surpass anything in the existing worldwide marketplace for a fraction of the cost. 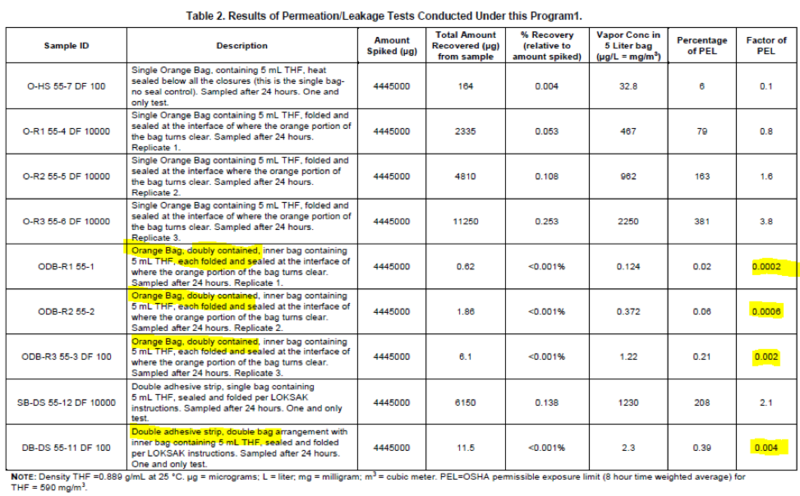 LOKSAK OTC barrier bags were sent to MRI Global, a world renowned testing company used by all branches of the government, to compete with the other submitted CBRNe hopefuls. After capturing the attention of the DOD and several FBI departments, our next step was to find a way to safely and reliably house the most toxic and hazardous materials found in the field. We knew our barrier bag alone would not fulfill that difficult task. We brainstormed for months on how to modify our existing barrier bags into something the world has never seen. I thought it should have a flap with an adhesive strip that bonded with the film on our bags, creating an impossible challenge for anyone trying to open the flap. We worked with a group our engineers to create the front flap by running our barrier film past the closure and above the bag itself. At the same time, we gathered samples of tape from every well known and unknown supplier. Months after our search began, the magic adhesive became a reality. The new CBRNSAK was sent to MRI Global, tested, and the results were abasing. Our new CBRNSAK bag offers an unparalleled amount of protection that has been seen in a re-sealable, flexible, clear container; LOKSAK has also added a third bag and, when used, the PEL disappears. You can tell just by holding them that they are strong and tough, yet flexible and can be combined for even greater barrier protection if desired.